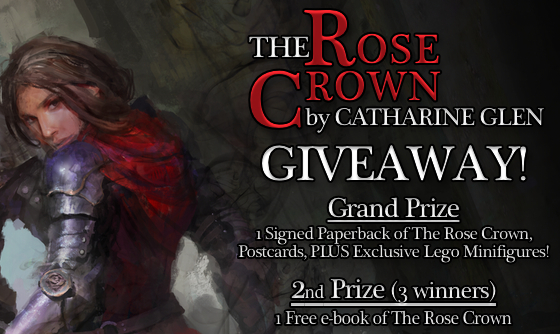 I am excited to host a giveaway to celebrate The Rose Crown turning “1” (and also my first year as a published author). Click here to enter! The Grand Prize Winner will receive a signed paperback of The Rose Crown plus EXCLUSIVE Lego Minifigures of Marian and Henryk. Thanks to everyone who supported me during the past year! There is more to come, so stay tuned!